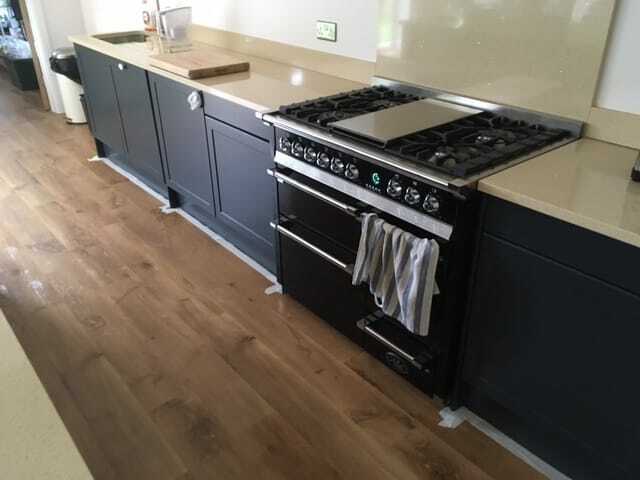 Is your kitchen is looking a bit tired or dated - Want it to be a room to be proud of again? 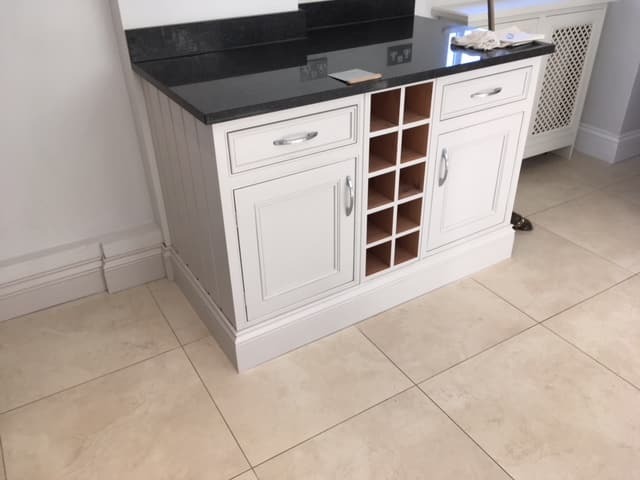 New kitchens can be expensive so the most cost effective way to breath new life into the most used room of your home, is to repaint those cabinets, drawer fronts, plinths and cornice. 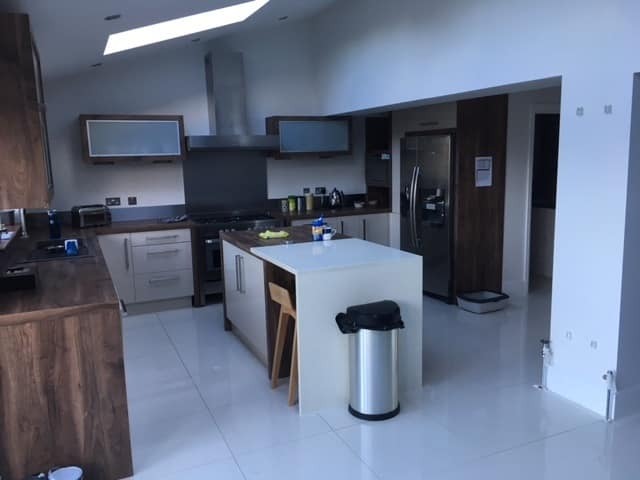 Without doubt, our kitchens are the most used room in our home. 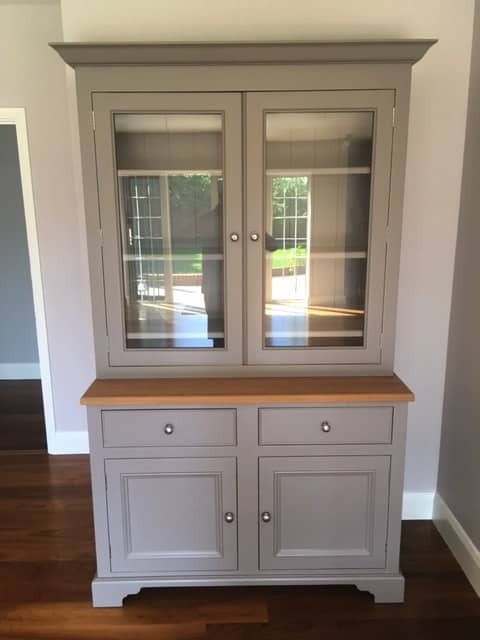 For most of us, as well as being practical, we want them to look great too. 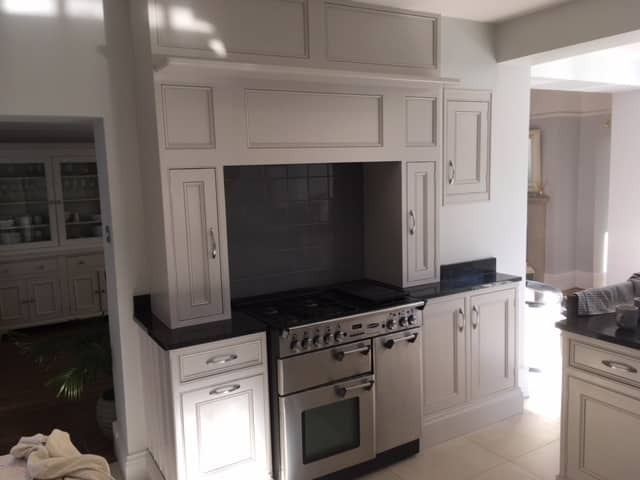 When they begin to look out dated, we lose inspiration so lets fall in love with our kitchens again. 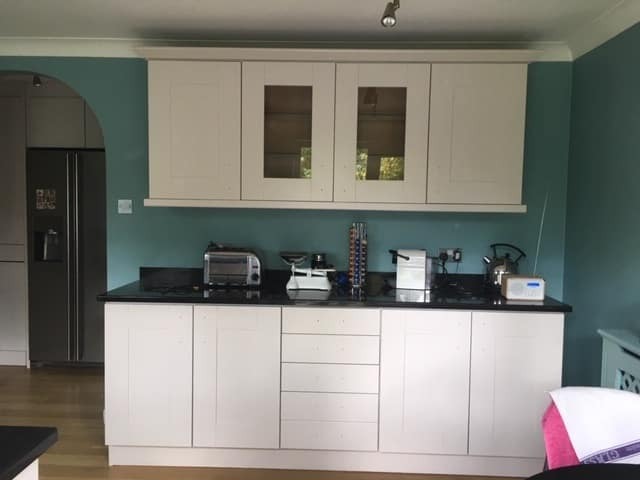 We all know that our kitchens can take a beating, so it is important that when selecting a kitchen door painting service, we need to be confident that the quality of the finish will look great and most importantly be durable. 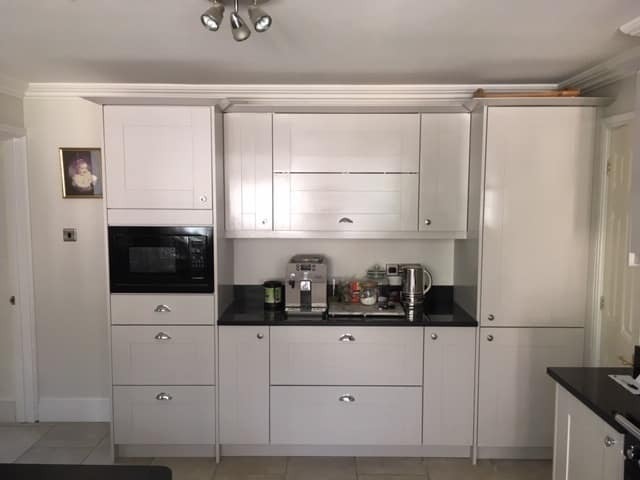 RM Décor Solutions have been providing the very highest quality paint finishes for many years, earning us the 5 star reviews we regularly receive on Google from our happy customers, now living with their lovely 'new' kitchens. 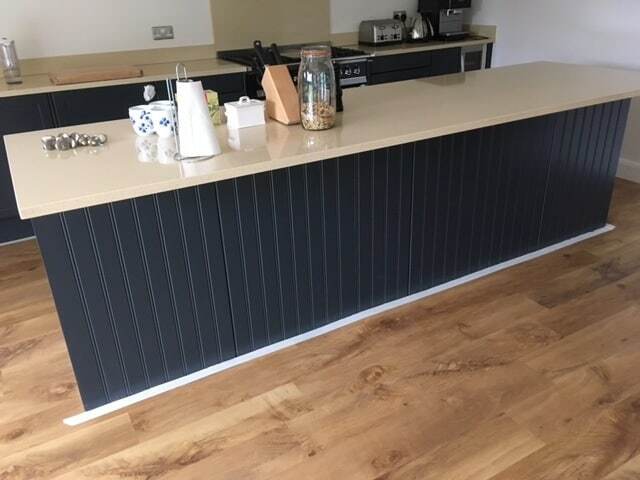 You can read our Google reviews here. 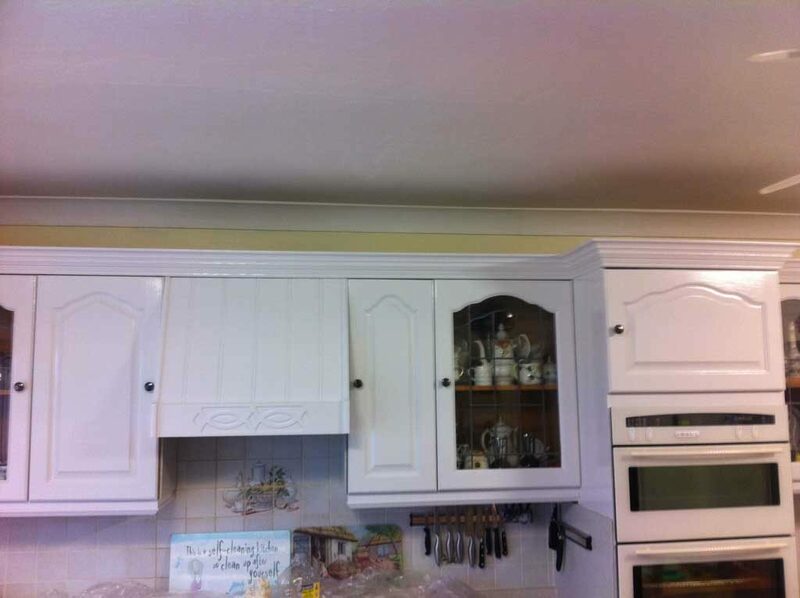 As well as the cost savings of specialist kitchen door painting services, there are some other clear advantages. 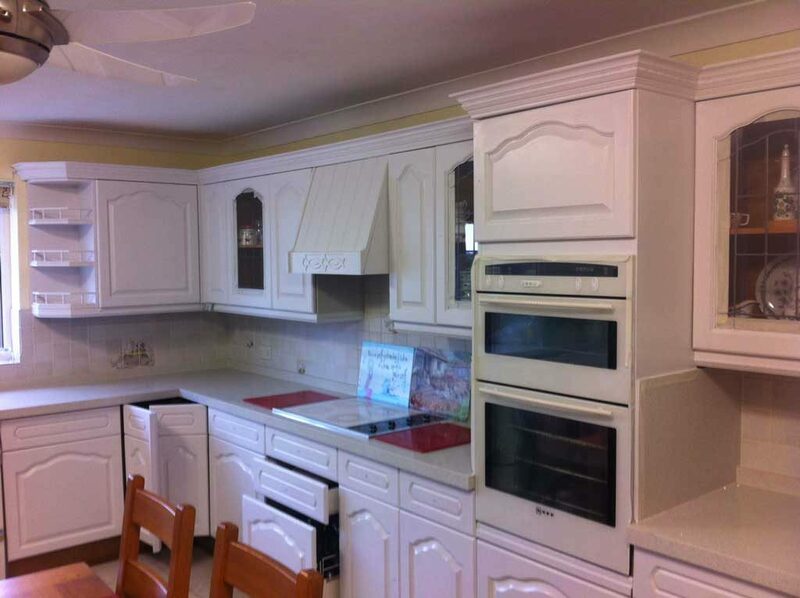 Our colour matching service means that you can have your kitchen in any colour you like. 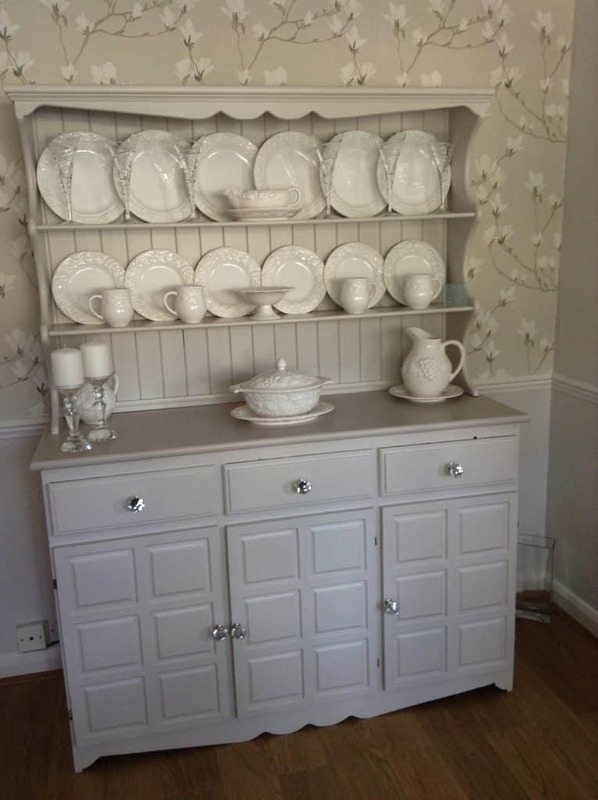 Bring other items of furniture together by including those in the list of items to paint. 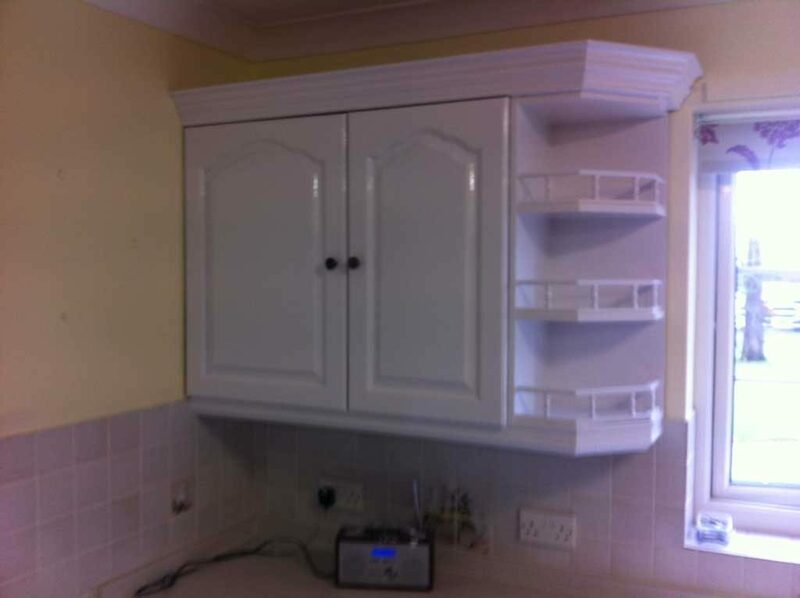 There’s also far less upheaval as your kitchen cabinets can remain in place during the work on your kitchen doors. 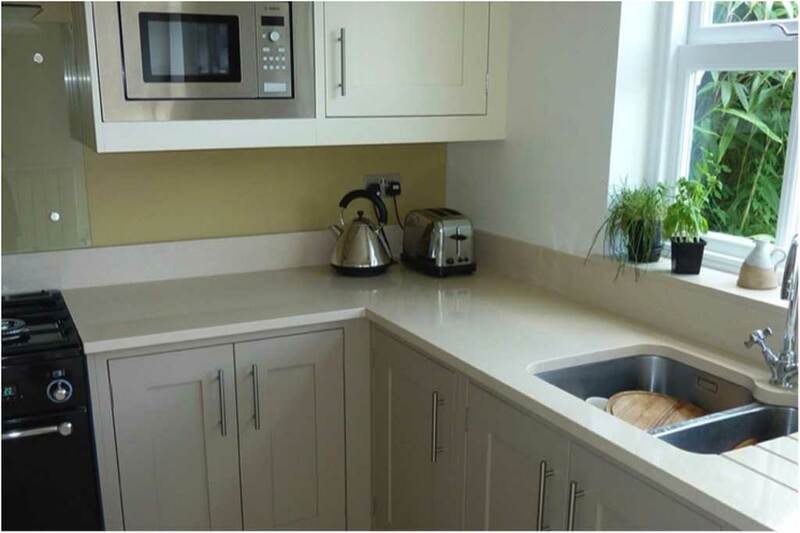 Perhaps now could be a good time to consider new work tops or fittings to complete the rejuvenation of your kitchen. 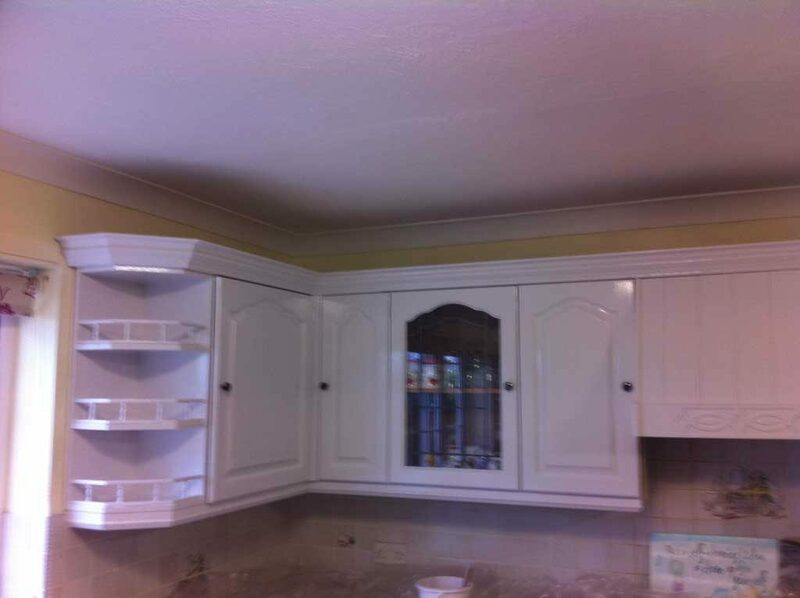 Using a kitchen door painting service like ours is also far more environmentally friendly. 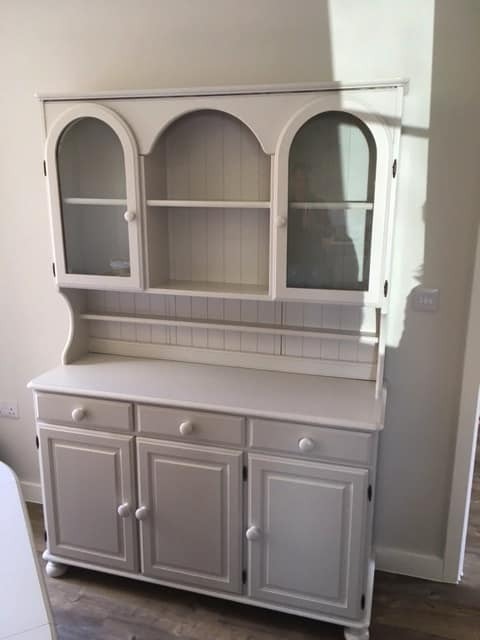 Make do and mend has come a long way since its necessity in World War II as we now approach a new war on waste. 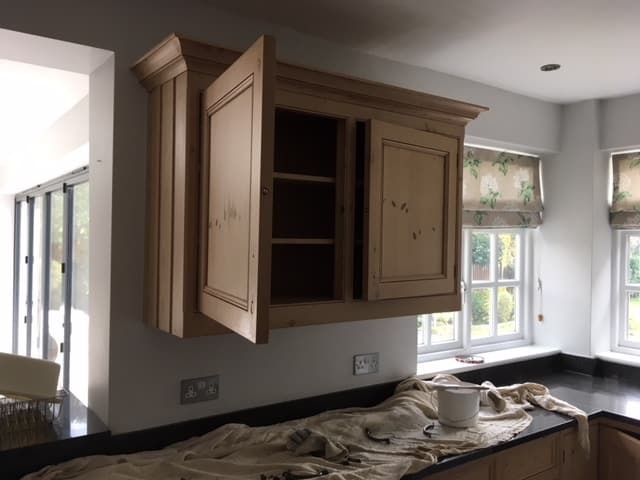 Hand painting an existing oak or pine kitchen can regularly save our customers an average of at least £7,000 – £10,000 on the cost of replacing it with new kitchen cabinets. 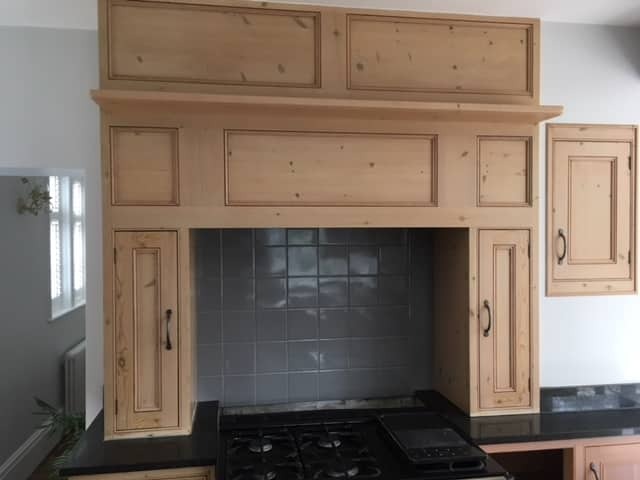 Though each kitchen we undertake is individually priced, as a guide a small lacquered or laminated oak or pine wooden kitchen usually costs around £1000 to prepare, prime and paint. 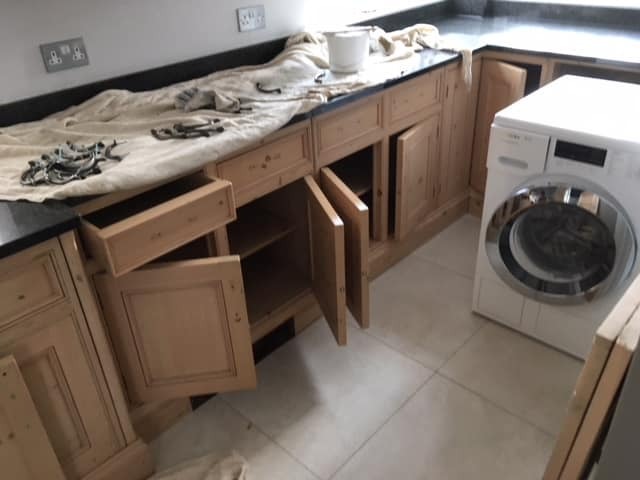 What’s more, unlike many other companies, we can remove the doors, drawers and trims, paint them in our specialist workshop and then re-hang them – allowing for a stress free makeover with the very minimum of disruption to your daily routine. 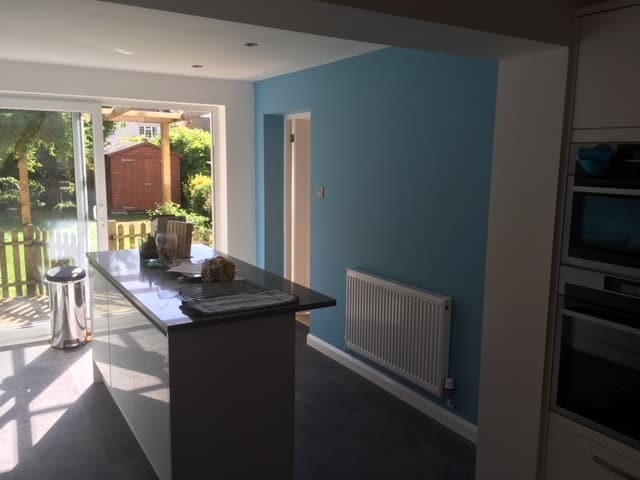 With our facilities and a selection of outstanding colours and finishes, we can give you a professional level of service that's unrivalled for kitchen door painting services. 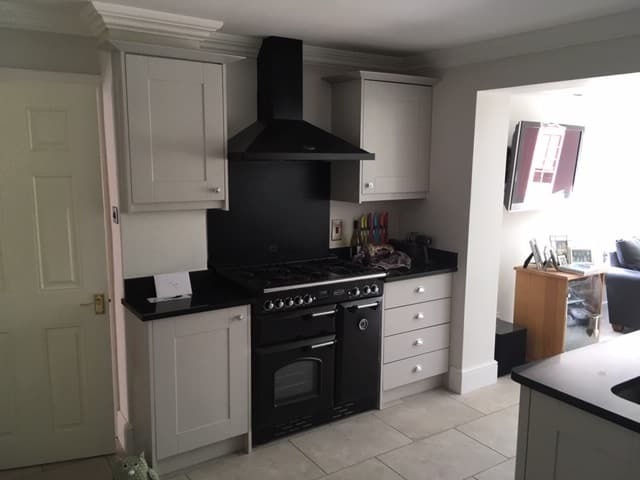 Start by sending us pictures of your kitchen as it is. 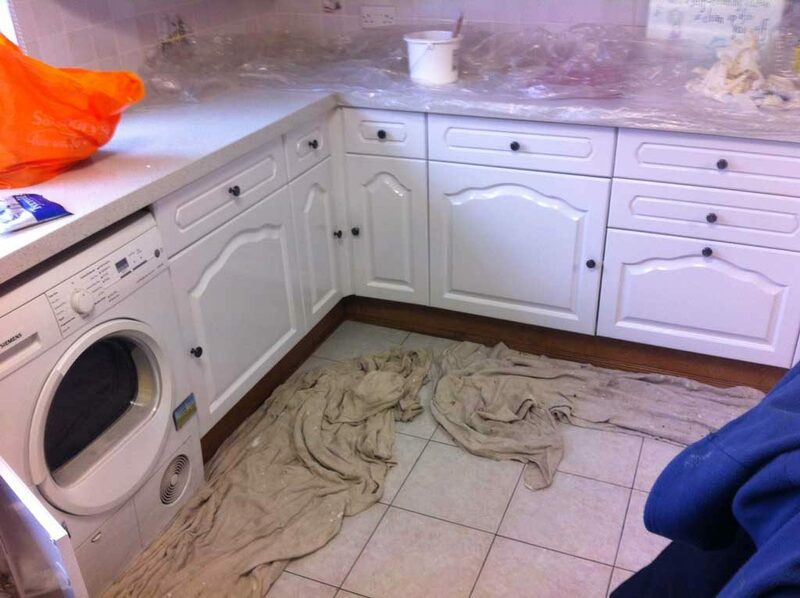 We strip out of all the parts that can be removed - doors, drawers, kick-boards, plinths etc. 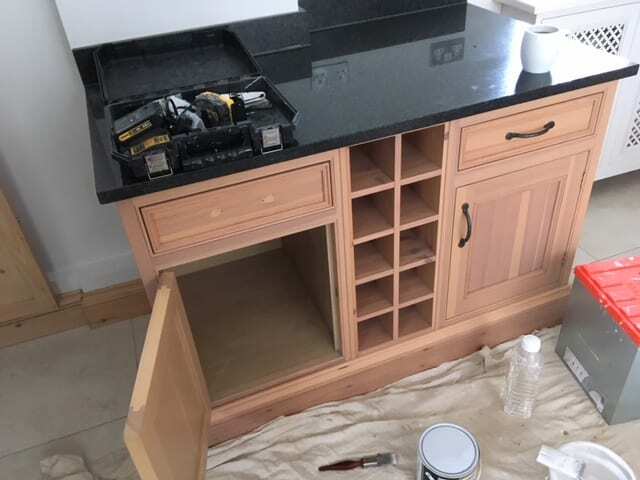 (We leave all carcasses, worktops and islands in place). 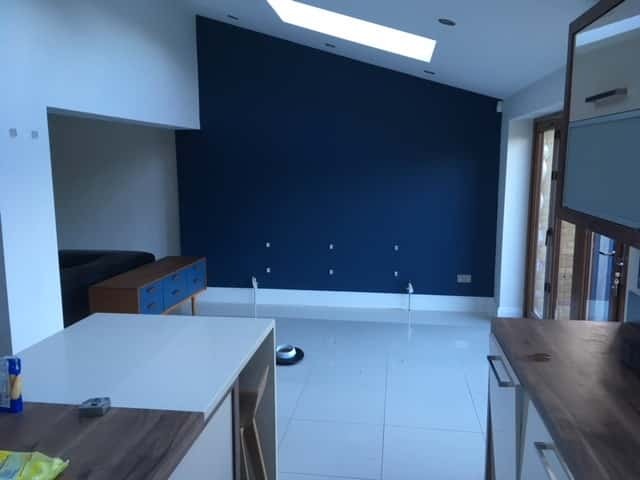 Three to Four Days later we will return the newly painted items, mask up the kitchen and paint anything that could not be removed. 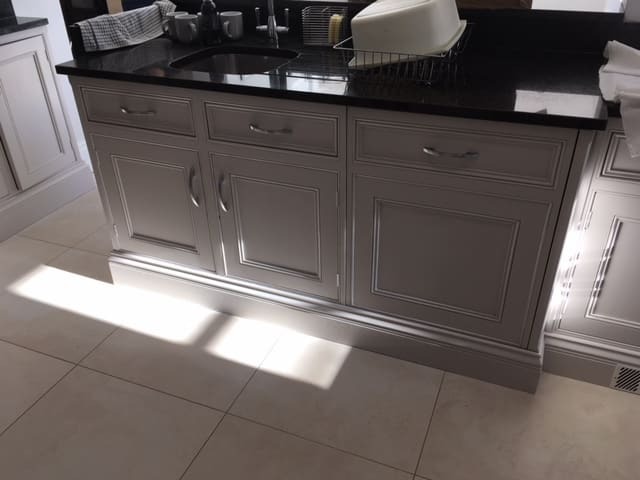 Once dry, we refit all the previously removed parts and leave you with a brand new & uniquely personalised kitchen. 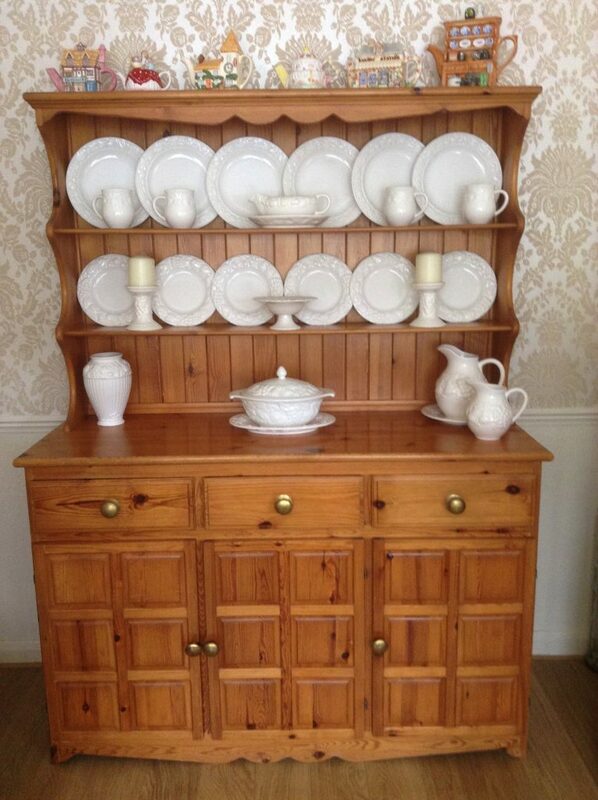 Check out our reviews on Google to see what our customers have to say about us online. 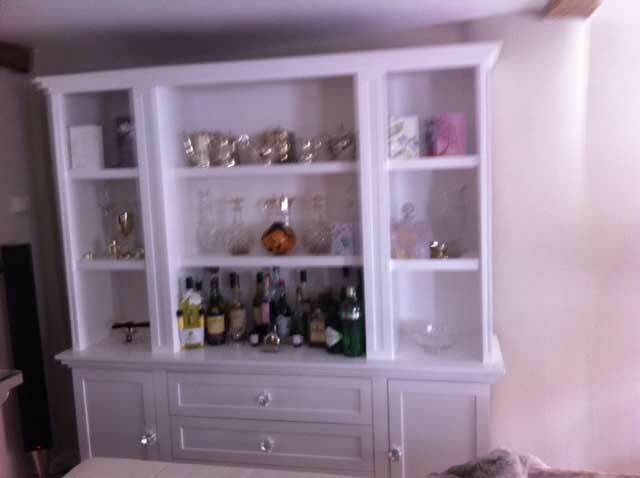 If you've been pleased with our work why not write a review for us.